Apply to graduate (in CUNYfirst) for the May 2019 degree by April 15, 2019. Deadline to complete deposit is April 30, 2019. Schedule your defense at least five (5) business days prior to depositing to allow time for corrections and revisions. Students should check with their programs about submission and approval deadlines that may be required in addition to the library deadlines above. Apply for graduation in CUNYfirst. Check your manuscript against the library's format guidelines. Upload final electronic version to CUNY Academic Works (required for all graduates). Doctoral graduates must also upload the final electronic version to ProQuest ETD, in addition to CUNY Academic Works. Submit the signed original approval page to the library. The library reviews uploaded documents and either approves the deposit or requests revisions. Revisions must be completed in order for the submission to be accepted by the library. Graduates will be notified by email when their deposit has been completed and officially accepted by the library. 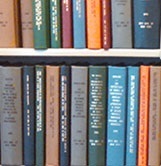 The library's format guidelines are available at the Format tab at the top of on this page. Proof of graduation will be withheld until all holds with University offices are cleared. Embargo (delayed release) options determine when a dissertation, thesis, or capstone project will be made publicly available online. Graduates should review these options with a trusted advisor prior to deposit. The initial embargo selection (0-2 years) may be changed at any time after submission, with the option to renew as the embargo nears expiration. If you are submitting digital components beyond a PDF (e.g., a website), please review the guidelines for depositing digital work and fill out the digital component submission form. Authors retain copyright for all work submitted to CUNY Academic Works and ProQuest. Graduates may elect to assign a Creative Commons license to their work. Doctoral and Master's graduates are generally required to produce a dissertation, thesis, or capstone project to be preserved and shared publicly by the Graduate Center Library. A preliminary review meeting prior to deposit is optional. See Format for Deposit guidelines for specifications about layout, file formats, adding supplementary files, pagination, and approval pages. Apply for graduation. This should be done at least 2 weeks prior to depositing with the library. View screenshots and detailed instructions for this action in CUNYfirst. Login to CUNYfirst and select Student Center from the main menu. Under Academics, click on My Academics and select "Apply for Graduation.” Click on the “Apply for Graduation” link located next to your current Graduate Center degree program. You may be prompted to select a graduation term if more than one is available. Students filing for the February degree date should select the preceding Fall term; students filing for the May/June degree should select the current Spring term; students filing for the September degree should select the Summer term preceding the date of the degree. This will notify various offices at the Graduate Center, including the Library, that you plan to deposit a dissertation, thesis, or capstone project for the next degree date. Students can “View Graduation Status” to see when each program has been applied, approved (all degree requirements met), or awarded (degree has been conferred). Complete exit surveys (voluntary). Doctoral graduates: 1) Graduate Center Exit Survey 2) NSF Survey of Earned Doctorates. Master’s students complete only the CUNY Graduate Center Exit Questionnaire for Graduating MA Students. All surveys are voluntary and information is kept confidential. Upload files. When you are satisfied that your document complies with the library's format guidelines, proceed with uploading your PDF file. View the step-by-step instructions for uploading to CUNY Academic Works (required for all graduates) and ProQuest (required for doctoral dissertations only) and submit the final approved version of the dissertation, thesis, or capstone project. Authors are responsible for the accuracy of deposited work. Final version must be free of typographical errors and correct in every detail of style and format. The Dissertation Office will review and approve submissions and contact students if changes are required. Submit the signed original approval page to the library. The printed and signed approval page must be delivered to the library for authentication and safekeeping. The approval page may be printed on standard paper. Please ensure that the approval page includes the title and author of the manuscript; if necessary, a separate title page may be attached. NOTE: For Psychology, the EO’s Office hand delivers the approval page to the Dissertation Librarian after processing. Email deposit@gc.cuny.edu to notify the Dissertation Office (room 2304) that the signed original approval page is en route. Students are strongly encouraged to keep a scanned copy for their records. The Dissertation Office will confirm receipt within 1-2 business days. The deposit is not considered complete unless the signed original approval page has been received and processed by the library. Congratulations! Your deposit is complete and has been accepted by the library. Notification that the library deposit has been completed will be sent via email to the graduating student and to the Registrar’s office. How long does it take to complete my deposit? Can I wait until the deadline to upload my dissertation/thesis/capstone? How do I know what graduation term to select in CUNYfirst? I applied for graduation in CUNYfirst but I accidentally chose the wrong semester. How can I update it to the correct degree date? I applied for graduation in CUNYfirst, but my plans have changed. Can I cancel it? Where do I find the Approval Page? Is any special paper required for the Approval Page? Do I need to wait until I submit the Approval Page before uploading my file(s)? Are landscape-oriented pages allowed in my document? What is the difference between a table and a figure? How should I format the captions on my tables and figures? How do I make my bibliography appear after any endnotes in MS Word? Will my dissertation/thesis/capstone project appear online? It depends! The library requires 2-3 business days to review your online submission to ensure the document complies with our format requirements. If any revisions are necessary, you'll need to make the changes to your document and upload a revised version. Edits are usually reviewed within 24-48 hours. Once the uploaded files are approved, we'll check to see if your signed original approval page is on file. If it is, we'll process the deposit and you'll receive a confirmation email at your GC address. If not, the deposit will sit, unprocessed, until the paperwork is received. Most deposits are completed within a week of being submitted. In order to make the deadline for the degree date, the following conditions must be met by the close of business on the stated deadline: 1) your signed original Approval Page must have been received by the library's Dissertation Office; 2) you must have uploaded your final document to CUNY Academic Works; 3) you must have uploaded your final document to ProQuest (doctoral dissertations only). As long as these three conditions are met, you will make the deadline for the degree date. Please note that if you wait until the last day to upload your documents, the library will still take 2-3 business days to complete our review, and you will not receive official notification until the process is complete. Bear in mind that this is an online submission process, and may be subject to technological difficulties beyond our control. For this reason, we highly recommend submitting your dissertation/thesis/capstone at least 2-3 days before the deadline. Choose the last semester in which you will enroll. For a May degree, select the current Spring term; for a September degree, select the previous Summer term (even if you are not enrolled in summer classes); for a February degree, select the previous Fall term. Unfortunately, students cannot edit this information directly. Instead, email deposit@gc.cuny.edu to have your graduation semester updated in CUNYfirst. Students may view the current graduation status information by logging into CUNYfirst and going to My Academics. Next to your current program of study at the GC, select "View graduation status" to see what graduation term you have selected. Email deposit@gc.cuny.edu to remove the application for graduation in CUNYfirst. You will need to register to meet the enrollment requirements of future degree dates. Bear in mind that the action in CUNYfirst notifies the Office of the Registrar, Bursar, Financial Aid, the Office of International Students, and the Library that you will be leaving the Graduate Center soon; these offices will review your records for any outstanding issues and place holds as necessary. Holds may affect future registration if you do not deposit. It is the responsibility of the student to clear any holds prior to the registration deadline. Where do I find the Approval Page form? The Approval Page is not a form, per se, but an actual page that you create and insert in the front matter of your manuscript. 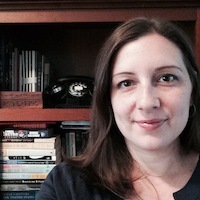 Think of it as a second title page, or a signed cover page to your work. The library provides guidelines for the format, but you are responsible for creating the page and printing it out to obtain the required signatures (see sample page). No, the Approval Page may be printed on standard printer paper. No, these steps may be completed in any order. If you upload your files prior to submitting your signed Approval Page, the library will review the format but will not be able to complete the deposit until your signatures are received. Tables are tabular data, arranged in a system of rows and columns. Figures can be any non-textual element, such as a graph, chart, illustration, photograph, etc. Follow the advice given in your disciplinary style manual. All tables and figures should be labeled and numbered; these are then listed in preliminary pages (see List of Tables/Figures/etc. for more information). Table captions appear above the table, while figure captions appear below the figure. If the table or figure is reproduced from another publication or uses external data, you need to include "Source: ..." and either full publication information or a parenthentical/footnote reference (be sure to include that work in your document's list of references). If you took the photograph, indicate that with a "Photo by author" statement in the caption. If you obtained permission to reproduce the table/figure, include the note, "Reprinted, by permission, from [citation]." The library format guidelines specify that the bibliography must appear after all appendices and endnotes, but it can be tricky to achieve this in MS Word. To do this, you'll need to create a section break after the endnotes and change the settings in the page format menu dialog to "suppress" endnotes. Full instructions are available here. 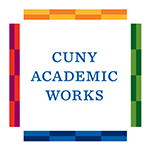 CUNY Academic Works is an open, online digital repository managed by CUNY's Office of Library Services; it is indexed by Google Scholar, so citation information (title, author, abstract) will appear in Google search results. Depending on your embargo selection, the full text of your dissertation/thesis/capstone project may be available for public download. Graduating students have the option to delay public release of the full text by selecting an embargo (see details on the embargo tab above). Doctoral dissertations also appear in ProQuest's Dissertations & Theses Global database, which is only available through institutions with an active subscription; full-text access is determined by embargo options selected during the submission process. The same bindery that produced the library's print dissertations and theses offers a "thesis on demand" service. Simply upload your PDF and select your color, materials, and other preferences to have a personal copy printed, bound, and delivered to you or your department. Details are available on the Graduate Center website. This will notify various offices at the Graduate Center, including the Library, that you plan to deposit a dissertation, thesis, or capstone project for the next degree date. Do this at least two weeks prior to uploading your documents. Login to CUNYfirst and select Student Center from the main menu. Under Academics, click on My Academics and select "Apply for Graduation." The purpose of this survey is to learn more about your post-graduation plans. The survey results are used for institutional research and help inform the Graduate Center's planning and decision-making. Sponsored by six federal agencies, the Survey of Earned Doctorates is an annual census conducted since 1957 of all individuals receiving a research doctorate from an accredited U.S. institution in a given academic year. All surveys are voluntary and information is kept confidential. View the step-by-step instructions. You will create an account and provide descriptive data about your submission before uploading a PDF version of your manuscript and any supplemental files. The library will review your submission and notify you if revisions are required within 2-3 business days. All graduates submit here. Create an account using your permanent email address (one you will access after graduation), then return to this guide and click the CUNY Academic Works link on this page. Only doctoral dissertations are submitted to ProQuest. When you've obtained all required signatures, scan a copy for your records and deliver the signed original approval page, in hardcopy, to the Dissertation Office (room 2304) on the library's 2nd floor between 9am-5pm. Email deposit@gc.cuny.edu to notify the Dissertation Office (room 2304) that the signed original approval page is en route. No appointment is necessary. The approval page may be printed on standard paper. Please ensure that the approval page includes the title and author of the manuscript; if necessary, a separate title page may be attached. Graduates will receive notification via email when the deposit is officially completed and accepted by the library. Does your dissertation/thesis include a significant digital component that the library must archive? If so, complete please read the Submitting Online and Digital Component page well in advance of your deposit.